Planning on renovating your property? Consider installing wood floors! Wood is always a popular choice and lasts for a significant length of time, always giving your property a classic look. 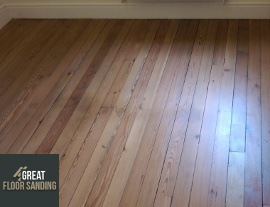 Hire the skilled floor fitters in Putney SW15 for a professional service that meets all your needs. From the moment you schedule an appointment to the execution of the service, you take the lead and oversee the procedure. Each project begins with understanding what you need. You have a rich choice of floor and material types. We send in a team for an inspection and consultation to see whether the floor needs any specific leveling. Professionalism remains the sole principle with which we approach every single project – this is best reflected in the personnel we hire. All wood floor fitters in the employment in London are the very best in what they do, having completed hundreds of floor installations. You get a skilled team who knows how to approach each individual project, using only the best products and equipment to deliver a stellar service. Your floor is going to look perfect! Order Work from The Floor Layers in Putney Now! Communication remains our top priority, so dial 020 3404 9697 whenever you have the opportunity to. You’ll find our support staff work around the clock from Monday to Sunday to ensure you get all the attention you need. You can request your on-site inspection from the SW15 wood floor layers or you can request additional information about our services – we’re here to help. Additionally, you have the opportunity to change an already existing appointment, but only if there are more than 24 hours before the appointment.